Community Services Group is building a new a 32,000-square-foot headquarters in the Greenfield Corporate Center in East Lampeter Township, Lancaster County. 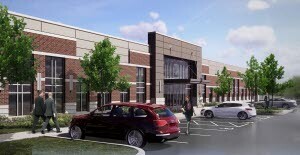 The new headquarters will be located at 1902 Olde Homestead Lane. The firm will relocate 90 employees from its current location on New Holland Avenue in Lancaster.